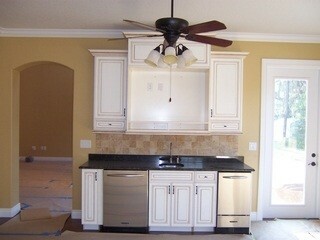 Central Florida General Contractor | RJ Builders, Inc. Although the First Place Award was a significant achievement for RJ Builders, it was the Merit Award that gained us the attention as spectators toured our model. Construction is my passion and having worked in nearly every trade in the construction industry commencing in 1988, I am heavily involved in every aspect of construction and have a very detailed Quality Assurance checklist and guideline to follow during each phase of construction. I do not deliver a product to a customer that will leave one of their house guests ever questioning something about the quality of our construction. Within just a few weeks of showcasing our Parade of Homes Model, we contracted eight custom homes to be built within the next year. We subsequently entered a Parade of Homes Model in every parade during the following years from 2004-2008. RJ Builders humbly received a 1st Place Blue Ribbon in each of those years making RJ Builders, Inc. the only builder to win First Place six consecutive years in a row in Lake and Sumter Counties ranging in the Price Categories of $150,000 to $ 1,500,000. Our attention to detail is what has set us apart from our competition, and what has helped earn us the awards that are judged by other builders, realtors, and designers from other regions of Florida who come to judge our Parade of Homes entries. In addition to the Quality and Attention to Detail, is the personal and professional service that you receive from the commencement of the loan origination to the final walk-through of your new home or office. In addition to that, you will enjoy years of friendship and shared cups of coffee with Rick Rojas, President, and Owner of RJ Builders, Inc.
After the economy slowed in 2008, of which RJ Builders was then building in 2 subdivisions, in addition to off-site Custom Homes, and having entered (5) Parade Models that year, in what would be the last hosted Parade of Homes in Lake County for several years, Rick elected to reduce time in the construction field, and continued to operate other businesses. However, he felt an emptiness within not being involved in the everyday activities and excitement of construction. In late 2015, Rick was approached by several people to assist in the construction of their homes and offices. Fast forward to January 2016 and RJ Builders was reborn, commencing with three joint venture projects helping another long-time local Custom Home building (O’Kelley Homes), and the independent contracting of an 8,300 square foot (2-Story) Custom Home, and 10,000 square foot commercial building. It did not take long for the news of RJ Builders being back in operation for us to be granted the opportunity to be awarded these two contracts, along with some future projects in the pipeline. They did anything from painting a house to installing custom trim and tile, pouring custom stamped driveways, to what eventually grew into specializing in kitchen and bathroom remodels, full home remodels, additions, and commercial build-outs, including custom cabinetry for offices, a bakery, and several retail locations. In 1995, Rick was approached by a friend and large-scale builder developer in South Florida, who asked if he was interested in learning about land development, and new home and commercial construction. Rick quickly accepted the opportunity to find out more about the business side of construction, while simultaneously going from a junior superintendent on a residential project to becoming a Project Manager for several projects. In 1998, following the birth of his daughter, Rick and his family moved back to Leesburg, where he had grown up and attended Leesburg High School, to follow the dream of allowing his children also to grow up where he was given the opportunity to grow up. Rick began work in Leesburg for Godfrey Custom Homes, and within a short amount of time became their Construction Manager and helped oversee the construction of several hundred homes in the area. So from that next day until March 31, 2002, Rick formed his company, got all of his policies and procedures in place, obtained his Qualified Business License from the State, and obtained all of his insurance requirement, all while still managing the construction for Godfrey Homes. 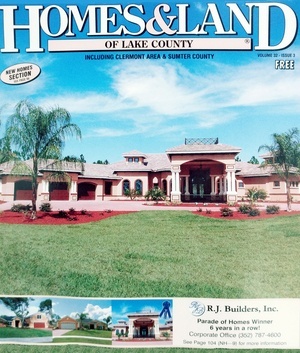 On April 2002, the transition was made, Joe Godfrey hired RJ Builders to continue to oversee the construction of all of their homes, so they would not have to worry about obtaining a new construction manager, and also gave Rick two customer leads to start off with, of which both were contracted. Rick secured several more jobs that year, and in December 2002, Rick had “left the nest” to focus all of his efforts on his company, RJ Builders, Inc.